The wolf: sleek fur, senses a thousand times more acute than ours. Razor teeth and powerful jaws. Expert pack hunter, a wolf pack acting as fluidly as a single organism. 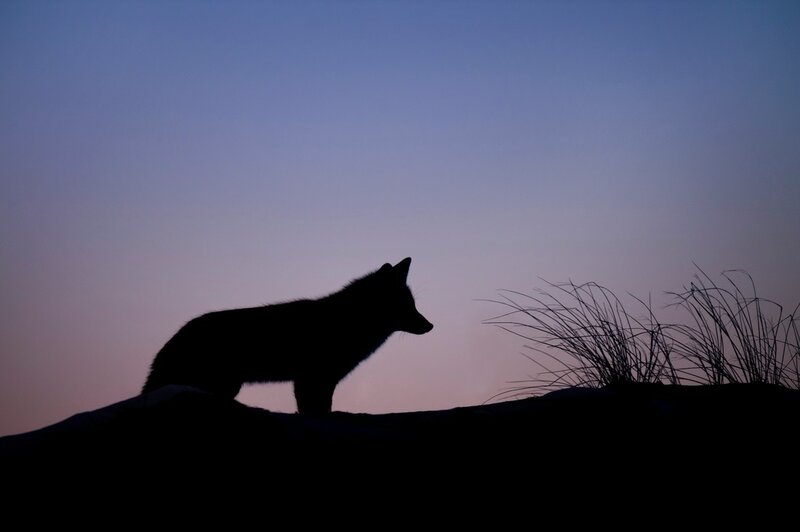 The wolf is a master of its craft - hunting and killing. The wolf: a product of millions of years of evolution. Nature is the world’s greatest engineer, fine tuning her creations through the unforgiving process of natural selection. Nothing less than perfection will satisfy Mother Nature. The weak die, the strong survive. Simple, cruel, and most of all effective. Compare, then, to the humble Pug. Wheezing, fat and flat faced. Not a creation of Mother Nature, perfect in every way by necessity. A creation of selective breeding, of...intelligent design. The pug would survive mere seconds in the harsh conditions imposed by nature. Intelligent design? Not so much. Under the ruthless mathematics of natural selection, advantageous mutations - variations from the norm - provide a survival advantage to the mutated organism. The converse is also true - those with mutations that hinder everyday life are at a disadvantage. A survival advantage, of course, makes that particular organism more likely to survive, to replicate and to pass on the mutated genes to its offspring. And so, the best of the best naturally rise to the top, thrive and multiply. It could not be simpler, it could not be more brutal. The Pug is (very, very) distantly related to the wolf, and yet retaining none of its finesse. The flawless sculpt of nature, the perfect killing machine of a wolf, corrupted by the crude chisels of humanity, heavy handed attempts at creation. The result is nothing short of spectacular. Spectacularly pathetic. Perhaps the Pug is something of an unfair example, that said. The battle of humanity versus nature is surprisingly balanced. Something of a David and Goliath situation. Nature wields effectively infinite power, in the thrashing energy of sky, land and sea. Gentle waves and light breezes to tsunamis and hurricanes. Power orders of magnitudes outside our reach. But humanity endures. Humanity always finds new ways to mitigate the damage of the devastating nature can wreak. Surviving, enduring. We may not be so good at what nature has mastered - the Pug being a particularly fine example - but we have our own skills. Through our own innovation, we have freed ourselves from the Game of Life. We are no longer at the mercy of Nature’s preference for the strong over the weak. Using ever increasing advances in medicine, in technology, we save the lives of the weakest of our species. Of those that would not survive if submitted to the savage wild. For better or worse, we have beaten natural selection.